For 10+ years Aaron and Crystal McIntosh have played music together in the Lake Norman area. Between the 2, there is nearly 30 years of musical performance history. 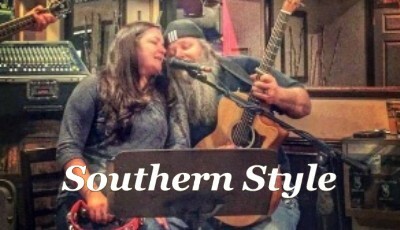 Their style and sound is one that is described as being a blend of southern rock mixed with some blues, and the folk/bluegrass side of country music. Artist that they enjoy listening to range from Tom Petty to Robert Earl Keen, Pearl Jam to Johnny Cash, Janis Joplin to Sugarland, and that diversity shows in the music that they play. While primarily performing covers songs by some of their favorite artist, there are also some originals on the playlist as well. The song selections they perform are ones that consist of several radio favorites and a lot of obscure tracks that you don’t hear on the radio every day. Their goal is to connect with the people who come out to listen, and make new friends as well as fans. All the while exposing you to songs /artist you may have never heard before, and maybe help you to find some new favorite tunes.